Please ensure that all care is taken to ensure the legitimacy of these Singing Courses and Workshops before incurring any expenses. Details are published in good faith however you may wish to consider insurance against unforeseen cancellations or delays. Singing Day performing Opera Chorus at Southernhay URC Church, Southernhay East, Exeter EX1 1QD starting at 9.30 am. More details https://www.eventbrite.co.uk/e/a-day-at-the-opera-registration-50223730530? BEACH BOYS BONANZA - residential singing weekend with Chris Rowbury. Spend a fantastic weekend learning Beach Boys songs in glorious harmony. Ralph Vaughan Williams Workshop - Winchester. Winchester Music Club invites you to join us for a choral workshop followed by a run through performance exploring two of Vaughan Williams’ mini choral masterpieces. Composed in 1906, “Toward the Unknown Region” put Vaughan Williams on the map as a new and important voice in English music. It sets the words of the poem “Darest thou now, O soul” from Walt Whitman’s “Leaves of Grass”. “Five Mystical Songs”, using a collection of poems by George Herbert, was composed over the next five years. The first four songs are quiet personal meditations with the final “Antiphon” a triumphant hymn of praise: “Let all the world in every corner sing”. The workshop will be led by David Thomas, Master of Music Winchester College and Music Director of Winchester Music Club, accompanied on the piano by Benjamin Cunningham with Andrew de Silva as baritone soloist. There is no parking available on site (except for disabled) and the nearby streets are restricted to 2 hours so please use city centre car parks or the park and ride. Missa Bell' Amfitrit Alterna Choral Workshop. Delve inside masterpieces of the Golden Age of church music including Lassus’s Missa Bell' Amfitrit' altera, paired with contemporary works by Bristol-based composer, David Bednall. This fun and informal workshop is the perfect way to develop your vocal skills and discover new choral favourites. 12:30 pm The James Room, Clifton Cathedral House. Directd by Tom Williams. Choir Camp 2019 with Sheila Ferguson - Dunfield House, Herefordshire. Following the success of previous weekends with Kiki Dee and Peter Straker, Choir Camp is back for a third year. This time we descend on the idyllic Dunfield House. Commencing on the Friday evening, a delicious buffet of home-cooked food will be served as we mingle and settle in. We'll then sing a range of musical and vocal styles; I'm already busy writing six-part arrangements especially for the occasion. After some songs around the campfire and a nightcap or two, it'll be 'lights out' before waking up to a full English breakfast to set us up for a busy Saturday of music-making with my band. Standing in some fifteen acres of rolling Welsh Border countryside, we have the exclusive run of the 19th-Century mansion. Requisitioned during World War II for the American forces, Dunfield House was a bolthole for Winston Churchill for high-level meetings and elaborate dinners. Nearby Hergest Ridge inspired Mike Oldfield's 1974 album of the same name and, according to local folklore, the chilling legend surrounding its Court was drawn upon by Arthur Conan Doyle for his classic 'The Hound of the Baskervilles'. There'll be time during the day to take a swim or wander through the labyrinth. In the evening, we will don our glad rags and, after a champagne reception, dance the night away as I host a black-tie party! A Sunday roast will break up another day's singing, culminating in a very special afternoon session with the one and only Sheila Ferguson. Best known as lead singer of The Three Degrees on chart-topping hits in the 70s including 'When Will I See You Again', 'Woman in Love' and 'Take Good Care of Yourself', Ferguson was first signed as a solo artist by Swan Records in her hometown of Philadelphia. Since leaving the internationally renowned girl group once dubbed 'Charlie's Angels' because of their appeal to the Prince of Wales, Sheila has gone on to star in numerous theatre roles and television shows. Hot-footing it to us from Amsterdam's Johan Cruyff Arena, there she will perform a series of concerts with Dutch supergroup De Toppers to crowds of tens of thousands each night. An audience of local villagers will hear a run-through of our efforts and we'll say our goodbyes, until 2020. We are absolutely delighted to have secured the services of the HallÃ© Choir’s Director, Matthew Hamilton, to lead us through the DuruflÃ© Requiem for our second Sing it in a Day. There will be rehearsal sessions in the morning and afternoon followed by a late afternoon performance of the work in its arrangement for organ and 'cello. Non-singing partners have the opportunity to spend the day visiting the Buxton Garden Trail or viewing the near complete restoration of the town’s famous Crescent or maybe the award-winning Devonshire Spa. We are delighted to invite experienced singers to take part in our next singing holiday encompassing fun, fine food and exquisite music at the superbly appointed 19th Century Country House, Newfield Hall, which will be fully refurbished for the 2019 season. Set in its own extensive grounds, the house is just a short distance from Malham Cove and surrounded by the beautiful Dales countryside and villages. In this truly grand setting and with magnificent views of the Yorkshire Dales, Tim Knight will lead you through some rare and wonderful choral music, both Secular and Sacred from the English Choral Tradition (all music will be provided in advance of the event and is included in the cost of the holiday). Tim Knight is a keen ambassador for choral music and tradition and has been running singing events, workshops and tours for over 15 years and has built up a reputation for providing singers with a rewarding, educational and memorable experience singing fine music in fine venues throughout the UK, America. This had led to consistent repeat bookings and excellent reviews from participants of his events (see below). Sunday - Breakfast, morning singing session (possibly off-site). Cost includes meals stated in the itinerary above (timings are flexible to suit the groups requirements. A non-refundable deposit of Â£75.00 is required at the time of booking, with full payment required no later than 1st May 2019. Some rooms may be in the Coach House. Morland Choristers Camp is a week-long residential summer course, for children aged 9-18, who enjoy singing. Founded in 1971 by Canon Gervase Markham, it takes place each summer in the village of Morland in Cumbria and has grown from small beginnings into a thriving 100-strong course. Its unique feature is that over the years it has developed into an extended 'family', offering first-class choral training in the highest traditions of the Church but in the atmosphere of an adventure holiday. The week offers a busy, exciting mix of good music and good company. It is planned so that everyone has fun as well as working hard. There is a camping site for the boys, girls sleep in the Village Hall, and meals are taken in the school. A typical day has rehearsals in the morning and evening for a wide variety of music. Most afternoons are devoted to non-musical activities, for example a dam-building competition in a mountain stream or Morland's particular version of 'Sports Day'. Evensong is sung in Carlisle Cathedral on Friday, then on Saturday a concert in Penrith can include staged musicals, spirituals or chart hits. On the final Sunday, the Camp processes down the village street to morning Eucharist in the village church. Then, in the lunch for parents and friends culminates in a prize-giving, which includes an award for the most 'professional' chorister and the presentation of the group Challenge Cup. This leads on to the closing Choral Evensong, for which Morland Church is always packed. 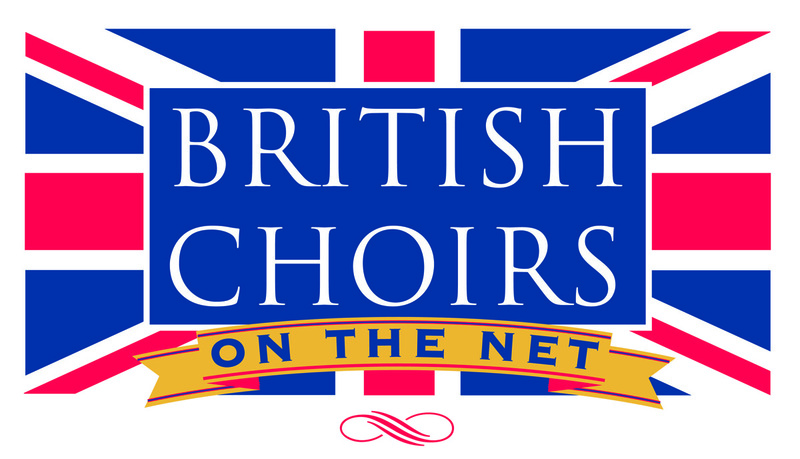 The Camp is endorsed by the Royal School of Church Music which runs chorister courses across the country. For more information and how to apply, visit morland.org.uk. Singers, come and enjoy a week of singing on the Choral Course at the NLMS Music Summer School, 3 - 10 August 2019 at Downe House School, near Newbury, Berkshire. This supportive and engaging course is designed to expand your repertoire, develop your sight-reading skills and inspire you with excellent technical advice from our conductor Thomas Leech and section leaders who are all professional singers and experienced educators. Some familiarity with notation is assumed, and our tutors are expert in working with a broad spectrum of experience. Sectional rehearsals help members to become familiar with the music and one-to-one sessions throughout the week provide the opportunity for you to work on specific areas or perhaps a favourite solo piece â€“ the amount of time and input from the choral tutors really is unique to NLMS. In addition to the main sessions, there are many optional activities, a concert every evening and plenty of opportunity for enjoying the extensive grounds, swimming pool and socialising in the bar. More details are available from the NLMS Music Summer School website. The International Oratorio Choir (Artistic Director Peter Laskowski) is a project choir, with which you may again perform the oratorios you know in an international lineup. The Coronation Mass in C major (KV 317) by Wolfgang Amadeus Mozart, was most probably composed for the Easter service of 1779 at the Salzburg Cathedral. Immediately after his death this church composition, which was probably Mozart’s most popular, became the preferred mass setting for services at imperial and royal coronations as well as at thanksgiving services. The festive symphonic elements and the clear separation of solo and choir voices are typical of this mass. Through its musical expressiveness it surpasses all other Salzburg masses. Please note â€“ accommodation is very limited at this venue so early booking is advised! Costs includes meals stated in the itinerary above (please note timings are flexible to suit the groups requirements). A deposit of Â£50.00 is required at the time of booking, with full payment required no later than 1st July 2019. A full itinerary and music packs will be sent in advance of the event.